Keith Law of ESPN is releasing his Top 100 prospect list over two days. 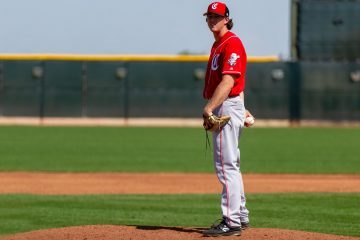 Today he released prospects #51-100 (ESPN+ needed) and it included two Cincinnati Reds prospects. 2018 first round draft pick and #5 overall selection Jonathan India made the list. So did right-handed pitcher Tony Santillan. Infielder Jonathan India came in on the list at #76 overall. He’s listed as a third baseman, but the write up notes that he could slide to second base, too, if needed. We’ve seen that just about everywhere in the write ups and if he remains in Cincinnati, it wouldn’t be surprising to see it happen eventually. After being drafted and signing in early July, India saw action at three stops the rest of the season. 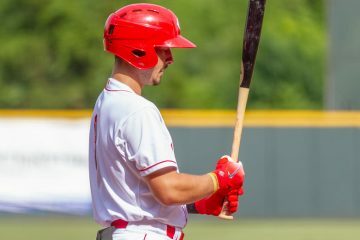 He began his career in Greeneville, the Reds new rookie-level affiliate in the Appalachian League. He then moved up to Billings, where he spent all of three days before moving up to Dayton. In the three stops he hit .240/.380/.433 in 184 plate appearances with 28 walks and 44 strikeouts. 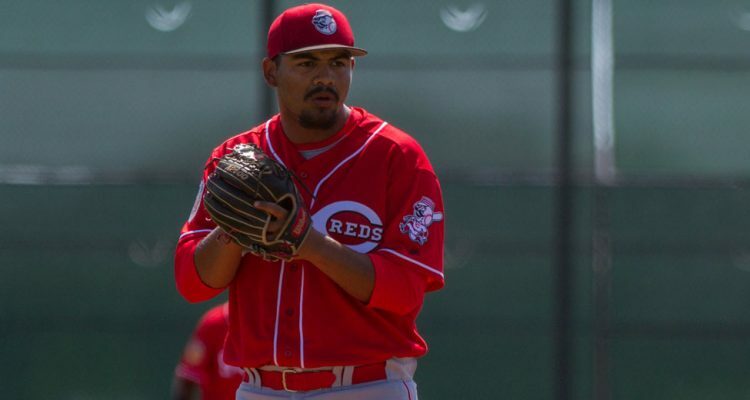 Right-handed pitcher Tony Santillan continues to be underrated on national prospect lists. But at least he made the Top 100 on this one after missing out on some others. The 21-year-old came in at #83 on the list. In the first half of the season, Santillan dominated for the Daytona Tortugas. In the Florida State League he posted a 2.70 ERA in 86.2 innings with 22 walks and 73 strikeouts. That earned him a promotion to Double-A Pensacola in the second half. While there he made 11 starts. In his 62.1 innings he posted a 3.61 ERA with 16 walks and 61 strikeouts. Law notes that his upside is as a #2 starter if he develops fully, needing to improve the consistency with his secondary offerings. It seems like the top 50 list will come out tomorrow. 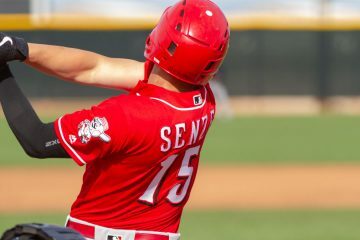 A reasonable person would expect to see Nick Senzel, Taylor Trammell, and Hunter Greene in the top 50, as they have generally been the Reds top three prospects everywhere else. We’ll have to wait and see, but it seems like a pretty good bet. The question is more about where they will rank within, rather than if they will rank. Glad to see Santillan getting some much deserved love on this list. Thinking about these two guys makes me really tense about the idea of either of them being dealt for Realmuto. I would only be ok with it if we got him signed to a longer extension. Two years may not be enough to bridge the gap to Stephenson, and who knows if that kid pans out perfectly anyways…. With Santillan I really hope to see him get some time with the MLB club this year. He, Mahle & Reed are three guys I hope get the lions share of looks when a fill in guy is needed (and I hope there isn’t a ton of need for that!). If Reed, Mahle, and Santillan spend the year developing in AAA, it wont be the worst thing in the world. We need those guys getting ready to step up, because Wood and Roark and just here for a year more than likely. Yesterday the Mets dfa’d 24 year old Gavin Cecchini, a 2B/SS and a former 1st round pick. With the Reds trading away both Shed Long and Jeter Downs, that surely took away some 2B depth in the organization. I don’t know what the 2B position looks like at AAA. Long looked to be the 2B there to start the season. But with the Reds releasing Dilson Herrera earlier, the 2 trades that took Long and Downs, and with Blandino still rehabbing a severe knee injury, would it make sense for the Reds to make a waiver claim on Cecchini? Or even to make a small trade? I think some teams are going to be interested in him. He is a good contact hitter, but comes with little power. Granted he was injured for 3/5 of the 2018 season, but hit a respectable .294/.342/.468 when he was healthy and before he hurt his foot. He had an OK 2017 at AAA but was injured a portion of that year and he had a phenomenal 2016. He also doesn’t strike out much. Would you try to bring in Cecchini for spring training to get a thorough looksy? Do the Reds sort of have a hole at 2B at AAA?? Correction: Cecchini just turned 25 years old. And his phenomenal 2016 at AAA was a line of .325/.390/.448 through 499 PA’s and a 117 G’s. I had the same thought, but they have Van Meter and Christian Colon for AAA depth up the middle (along with Iraberren), so it probably isn’t a priority. Colon seems similar to Cecchini, but 5 years older. If they think Cecchini can still be a prospect, then they could try a claim, but if it is just for depth, I think they are covered. Not sure who I’d bump at this point to open a spot on the 40-man. 70/55/40 are both ratings of their pitches. Santillan still has time to improve.